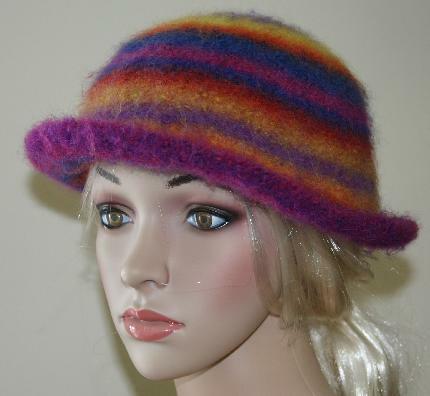 Felted hats. 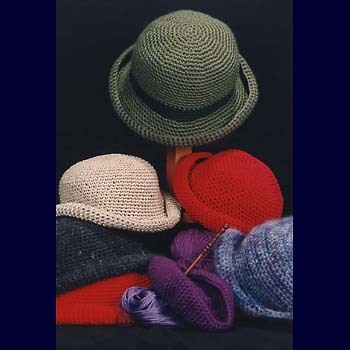 Crocheted hats. 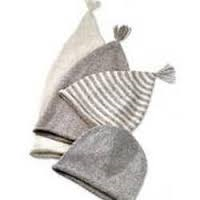 Knit hats. Beanies. 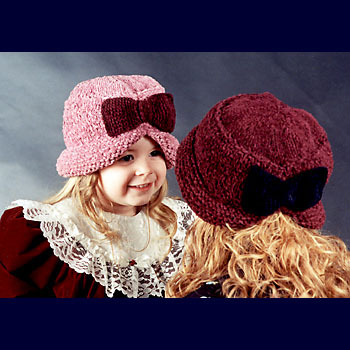 Ski hats. 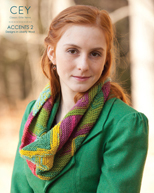 Quick to make and fun to wear, suitable for all skill levels and patterns for every type of knitter or crocheter! Design by Evelyn Clark. 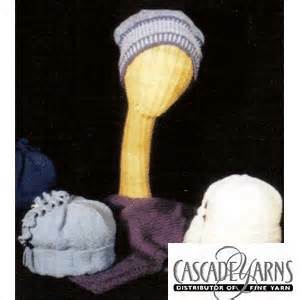 Fun and a little nutty this acorn hat can be made plain or bordered with fall leaves. 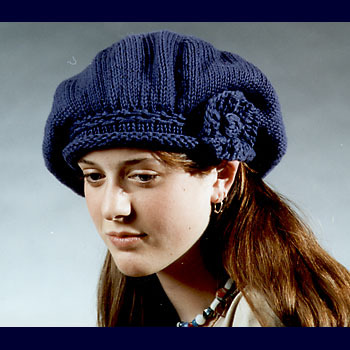 Basic Beret designed by Bev Galeskas, this is a slightly oversized beret measuring about 13 inches in diameter. Instructions are also included for a standard 11 inch beret. 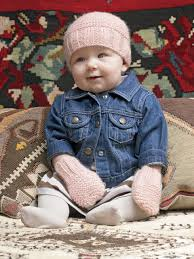 Baby/Child Cap Knitting Pattern Sm (3-6 months), Med (9-18 months), Lg (2-4 years). Yarn required: Worsted weight yarn 80- 115 yards. 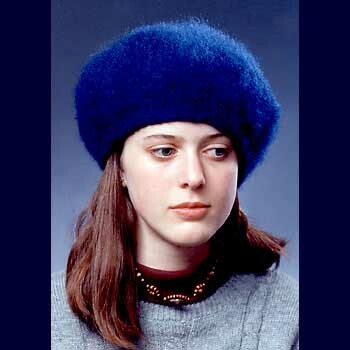 Chenille Crusher Hat designed by Bev Galeskas, knit in band uses a contrasting rayon blend. 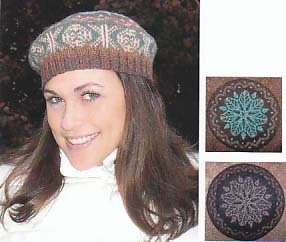 New chenille hat pattern. Worsted weight used double. Sizes for toddler, child, and adult. 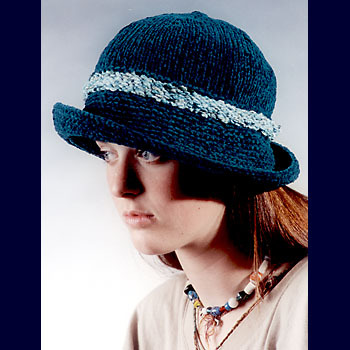 Felt goes to high style in this hat by Bev Galeskas. Made in wool and a thick, silky novelty yarn. 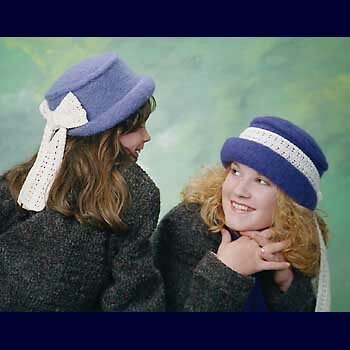 Stylish felt hats accented with lace. 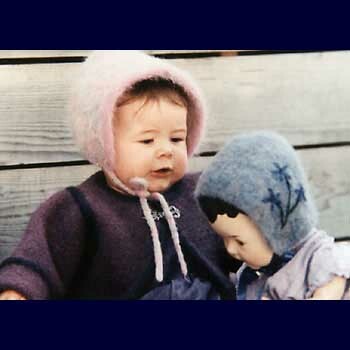 Felted Beret designed by Bev Galeskas. 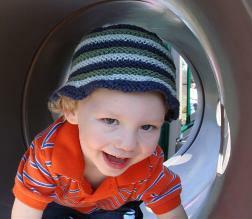 Plain and rolled band directions included, along with several finishing suggestions.